Advanced Health Blog What is Adrenal Insufficiency? Have you been dragging your feet more than usual lately? Chronic fatigue is a common red flag that something is wrong. Stress significantly impacts both our mental and physical health and can be expressed by our bodies in different ways. The adrenal glands, located on the top of each kidney, manage our body’s stress response. If pushed too far for too long, the adrenal glands can become over-stimulated and eventually over-exhausted. This can be caused by long-term physical or emotional stress, among other things. There are many ways you can go about Adrenal Insufficiency treatment, so we have outlined some basics about what the condition is, what causes it, and how you can make adjustments to your lifestyle to address the imbalances in your body. Adrenal insufficiency occurs when the adrenal glands can’t produce enough of the stress hormones cortisol and aldosterone. These hormones are key for regulating blood pressure, metabolism, and our body’s stress response. It is important for something like our metabolism to be regulated because it determines how to use digested food for energy. If our bodies cannot properly use the energy they get from food, there is a domino effect, leading to physical signs of chronic stress and fatigue. Hormones like cortisol are also important for our immune system and help slow down the body’s inflammatory response. The symptoms of adrenal insufficiency usually begin gradually and can be easy to miss. The first signs are chronic fatigue, loss of appetite, and muscle weakness. You may feel energized and tired at the same time. Cortisol levels may be high at night, leading to insomnia. As the condition progresses, you will start to feel more stressed and tired, with fluctuating sleep patterns. You may wake up at 3 a.m. unable to fall asleep again, and suffer through exhaustion all day, until you reach another peak in cortisol in the evening. Eventually your body will become so exhausted that you will burn out. Other symptoms like nausea, vomiting, and diarrhea are present in about 50% of cases. Since Adrenal Insufficiency causes chronic fatigue and stress on the body, it makes sense to address the lifestyle habits that have led us to that point. The best way to manage our stress hormone cortisol levels is through regular exercise and proper diet. Exercise releases endorphins which quickly reduces stress levels in the body and raises our energy levels. Although people with adrenal fatigue may experience extreme exhaustion after physical activity, it is important to work out a personalized treatment plan that balances exercise and rest. It can be hard to establish a consistent sleeping pattern, but it is critical for adrenal insufficiency treatment. Sleep helps the body repair from the daily stresses we encounter. Try using a routine to help you go to bed early and make sure you get 7 to 9 hours of uninterrupted sleep. To calm your body’s stress levels at night, try using some chamomile, peppermint, thyme, frankincense, or lavender essential oils. Add a few drops to your bath, dab some on your pillow, or massage a few drops between your wrists and simply inhale. Lavender oil has especially been known to help with sleeping problems. 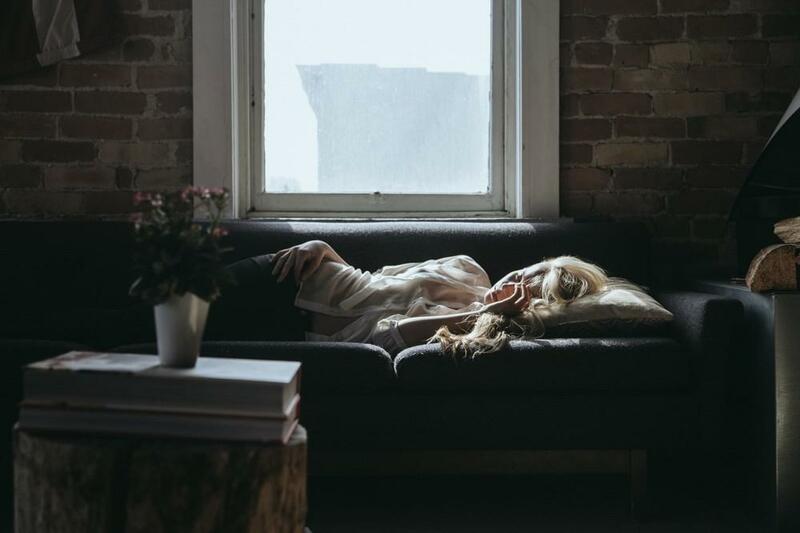 Another helpful tip for treating adrenal insufficiency, and issues with chronic fatigue in general, is to build rest into the day. It doesn’t have to be naps, either. You could try doing yoga or simply taking a break for mindfulness or meditation. Giving your body regular time to rest will signal proper hormone stimulation. Treating adrenal insufficiency requires optimizing nutrition. Eating a healthy, balanced plant-based diet will fuel the body and help decrease the production of stress hormones. Eating a healthy, balanced plant-based diet fuels the body and helps quickly decrease the production of stress hormones. B vitamins (especially B5, B6, and B12) are particularly important for the health of our adrenal glands. Omega-3 fatty acids, curcumin, vitamin C, vitamin D, selenium, magnesium, zinc, and folate are also important for proper adrenal function. Since caffeine increases cortisol levels and makes it more difficult for the body to manage stress, you’re going to have to cut it out completely or drastically reduce your caffeine consumption. It is essential that you work with your doctor to come up with a personalized treatment plan. Adrenal Insufficiency is a complex condition that requires a better understanding of each individual person’s stress. Often, we push our bodies to the limit without realizing the consequences it could be having on our life. Is your pursuit for success killing you? Have you been neglecting your health at the expense of others? People with adrenal insufficiency need to ask themselves some very important questions and establish a change in perspective. It’s integral to learn where our stress is coming from and what our limits are in order to establish a new daily routine. If you believe you may be experiencing Adrenal Insufficiency, you need to contact an integrative functional medicine doctor and seek treatment right away. Furthermore, people with adrenal insufficiency who experience extreme weakness, nausea, or vomiting need immediate treatment to prevent an adrenal crisis or possible death. As with any chronic illness, Adrenal Insufficiency requires personalized treatment to best understand its underlying culprit(s). Contact Dr. Payal Bhandari, M.D.. to help answer your questions about chronic fatigue and adrenal disorders. Adrenal Insufficiency can be improved through aggressive lifestyle counseling focused on nutrition, physical activity, sleep and stress management. Dr. Bhandari is an integrative functional medicine physician who specializes in chronic fatigue and adrenal insufficiency. She can help you define a personalized treatment which will quickly drive positive results, improving your daily and long-term wellness.